Orchha- A hot destination for Bollywood filmmakers! Bollywood, the Hindi Film Industry of India, has always been a source of some quirky and exceptional inspirations to many of us. From chasing those slow moving trains for the love of your life to wearing skimpy clothes in snow lands, Bollywood has definitely left its impact. But, one of the better inspirations from Bollywood is the latest passion among Indians to travel and explore new or hidden destinations in India or abroad. Orchha, the slumber town of Bundelkhand in Madhya Pradesh, India was hidden for many years, but the incredible huge cenotaphs, palace like temples and magnificent palaces couldn’t remain hidden any more. The “rich in architecture” town of Orchha caught attention of Bollywood and in fact Hollywood film makers and now it is turning into one of the HOT destinations for shooting ad films, TV serials and movies! The shimmering river Betwa, lush grasslands and mesmeric architecture of mammoth cenotaphs make a stunning backdrop for the shooting of movies and ad films. Apart from that the serene peaceful ambiance adds to the comfort of shooting uninterrupted in Orchha. 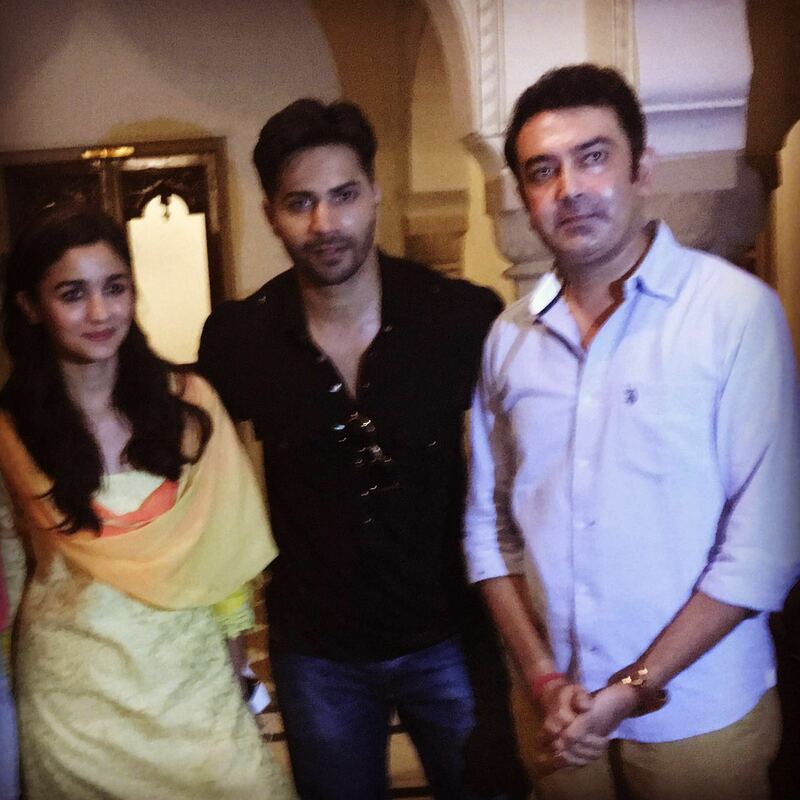 Currently we have Bollywood actors Alia Bhatt and Varun Dhawan staying at Amar Mahal only. The charming duo is here in Orchha for the shooting of their upcoming RomCom- “Badrinath Ki Dulhaniya”! Travel to this lesser known secret town for a unique experience and live your Bollywood moment !! Orchha, the calm and sleepy town of Bundelkhand in Madhya Pradesh, India was hidden for many years, but the incredible huge cenotaphs, palace like temples and magnificent palaces couldn’t remain hidden any more. It is exciting to see that the hidden town of Orchha is gaining popularity among film makers lately! 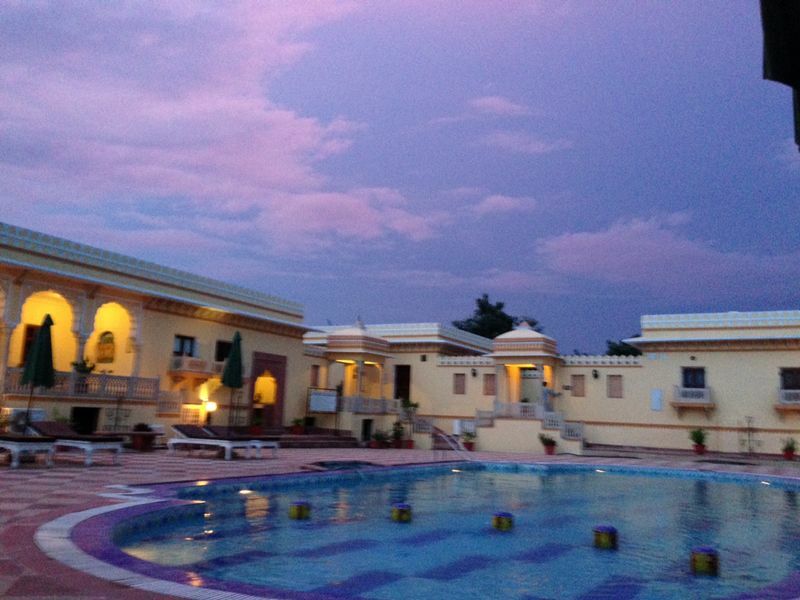 Alia Bhatt’s official Instagram account has an image of hers chilling out in the swimming pool of Amar Mahal, Orchha! In past also many Bollywood celebrities chose Amar Mahal as their holiday home. If you too wish to live your celebrity moment, book a holiday with Amar Mahal, Orchha where these celebrities lived.